ITALY: Emirates and Trenitalia have announced a new codeshare agreement which will enable Emirates customers to discover new destinations across Italy. With just one ticket, travellers will be able to fly on Emirates and reach 27 cities and towns in Italy using high speed trains that leave from Bologna, Milan, Rome and Venice. “This codeshare agreement with Trenitalia opens up new possibilities for our customers and complements our current services to Bologna, Milan, Rome and Venice. With Trenitalia, travelling to the Far East from Foggia, or to Padova from Sydney has never been easier," said Hubert Frach, Emirates’ Divisional Senior Vice President, Commercial Operations, West. "Emirates already flies more than 1.6 million passengers to and from Italy every year. With this codeshare agreement, we’re connecting Italian regions to our global network, significantly boosting the Italian tourism industry,” added Mr Frach. 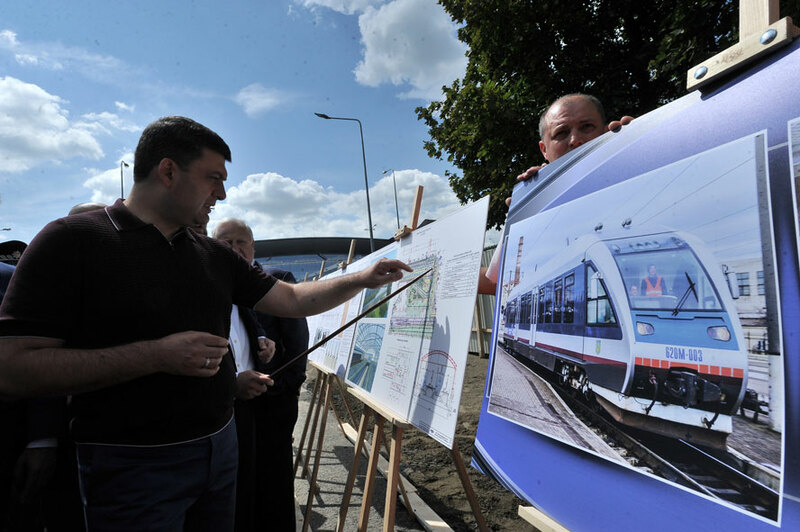 UKRAINE: The Prime Minister Volodymyr Groysman has confirmed that the high speed rail link connecting Kiev Passenger Railway Station with Boryspil International Airport is being constructed slightly ahead of schedule with budget savings of about UAH 120 million (EUR 3.8 million), compared to a proposed Air Express project. According to the Prime Minister, the new airport rail link will be launched before 1st of December. Ukrainian Railways are also working on a joint airline-railway ticket offering, Prime Minsiter said. The new airport rail link will run from Kiev Passenger Railway Station, via Vydubychi station to Terminal D at the airport. The estimated journey time is 35 minutes. Boryspil International Airport served 10.5 million passengers in 2017. It is expected the market share of passengers travelling to/from the airport by rail to be at least 35%. RUSSIA: The Governor of St. Petersburg Georgiy Poltavchenko has announced the tender for the new rail link connecting Pulkovo Airport and the Vitebsk railway station. Companies can submit their proposals until 10th of October and the winner will be announced on 12th of March 2019. The project includes the construction of a new two-track electrified railway line from the Shushary Station to Pulkovo Airport and a new railway station directly adjacent to the airport terminal. "Our goal for modern St. Petersburg is to develop all forms of public transport and ensuring airport accessibility is key, especially when Pulkovo Airport served a record 16.7 million passengers in 2017, a 21.6% growth from previous year. We expect that a tender to plan, build and operate such an interesting transport infrastructure facility will attract a large number of investors," said St. Petersburg Investment Committee Chair Irina Babyuk. The new rail link will reduce travel time from the airport to St. Petersburg city centre from one hour to 30 minutes, reduce the congestion on roads and improve the comfort and reliability of the airport access journey. The estimated cost of the project is RUB 18.8 billion with the private investment of at least RUB 8.8 billion. The duration of the concession agreement will be 30 years. 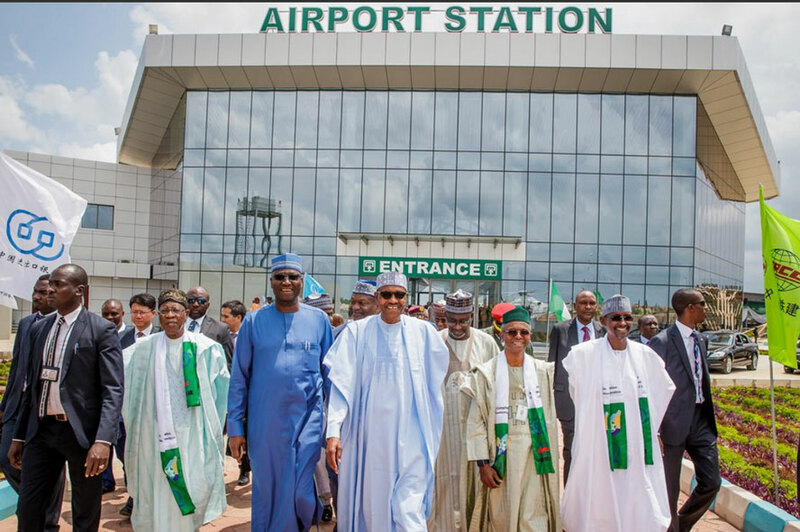 NIGERIA: President Muhammadu Buhari has inspected the new terminal building under construction at the Nnamdi Azikiwe International airport and inaugurated the Phase 1 of the Abuja Rail Mass Transit Project on 12th of July. 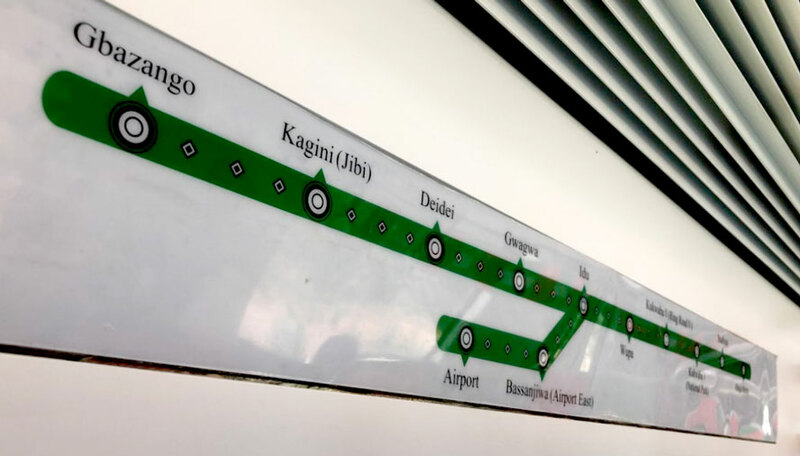 The first phase of the Abuja light rail system has two lines with connections to the airport and the national rail network. The entire metro system, comprising 290 kilometres and is being built by China Civil Engineering and Construction Corp at a cost of $824 million, partly funded by loans from the Export-Import Bank of China, which is providing 60 percent, according to the Abuja city administration. It will span the entire city and will be developed in six phases. 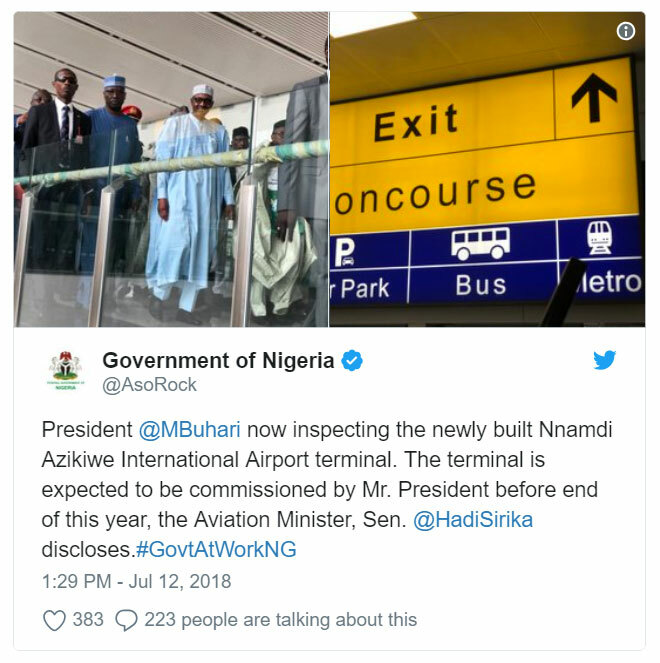 According to the Managing Director of Federal Airports Authority of Nigeria Saleh Dunoma, the work on the new airport terminal should be completed by October. “We are pressing the contractor China Civil Engineering and Construction Company (CCECC) to finish in August so that we can start operations in October and all the stakeholders are working together to ensure this," Dunoma said. The work includes linking Abuja Metro Rail station to the new terminal, and constructing two new car parking building on both wings of the terminal. USA: Governor Andrew Cuomo has signed legislation to advance the process to build a new AirTrain connection to LaGuardia Airport. The new law will allow multiple potential alignments to be considered during an upcoming environmental review of the proposed AirTrain LGA project, planned between the airport and the Long Island Rail Road Station and the 7 subway train at Mets-Willets Point in Flushing, Queens. 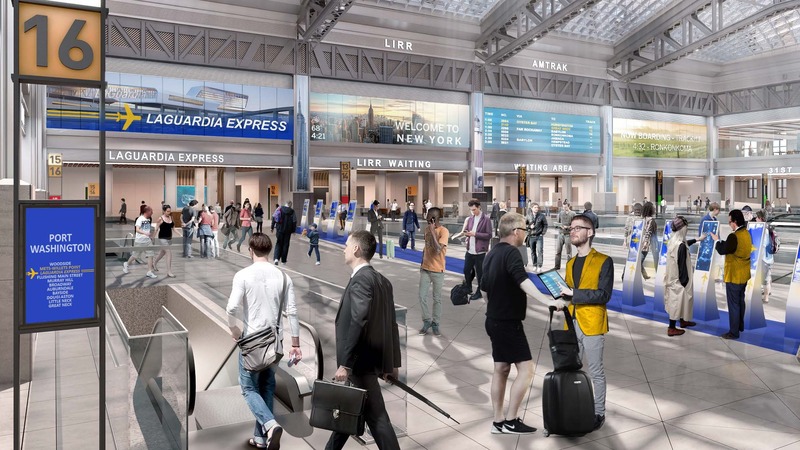 The Governor's action marks another critical step toward making a mass-transit link between Midtown Manhattan and LaGuardia a reality, which will help reduce vehicular congestion and delays for passengers traveling to and from the airport. AirTrain LGA seeks to establish a reliable, convenient means of travel, with less-than 30-minute trips between the airport and New York Penn Station or Grand Central Terminal. It will also provide rail access from all of Long Island via the LIRR as well as the MTA's 7 subway line. In coordination with the Federal Aviation Administration, the steps include the selection of a consultant to prepare the EIS and to oversee the process for the proposed environmental review. The environmental review is slated to begin later this year and be completed by the end of 2019. Construction is anticipated to start in 2020 and conclude in 2022. The legislation specifically defines a corridor within which the AirTrain LGA project could be constructed and allows, within this corridor, for alternative alignments to be developed and considered as part of an extensive environmental review process, with required public participation. That corridor was created in consultation with local community members and elected officials. No route can be finalized before the environmental review, which will be led by the FAA, is completed. Under the legislation, the State Department of Transportation would be authorized to acquire parcels of land already owned by the City or the MTA within the established corridor. No private property would be impacted. The Port Authority of New York and New Jersey, which operates LaGuardia Airport, is working cooperatively with the Metropolitan Transportation Authority to build a new station complex at Mets-Willets Point, with easy transfer options between the LIRR or 7-line and the new AirTrain, which will run approximately every four minutes. 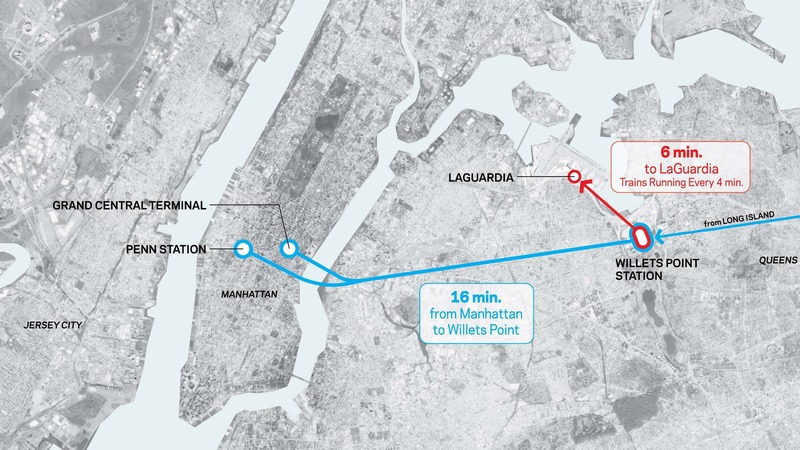 The total estimated travel time between midtown Manhattan and the airport of less than 30 minutes is comprised of an approximate 16-minute journey on the LIRR between Moynihan/Penn Station or Grand Central and Willets Point, followed by an approximate 6-minute journey from the Willets Point Station to LaGuardia. About two hundred eager souls gathered on the warm June evening at Crewe railways station to take part in the annual Three Peaks by Rail challenge, organised by the Railway Children charity. Two teams from the Young Rail Professionals organisation were among those people and I was one of them. Young Rail Professionals was founded in 2009 to promote the railway industry as a great place to work and to inspire and develop the next generation of railway talent. YRP bring together people from all aspects of industry, whether they are involved in engineering, asset management, train operations, strategic planning, maintenance, franchising, regulation, marketing or human relations. This was my first time taking part in the challenge, which involves climbing three highest peaks in Wales, England and Scotland, often within 24 hours. Our challenge was slightly different though, all of the participants were from the railway industry so our mode of transport between the peaks was, of course, a train. 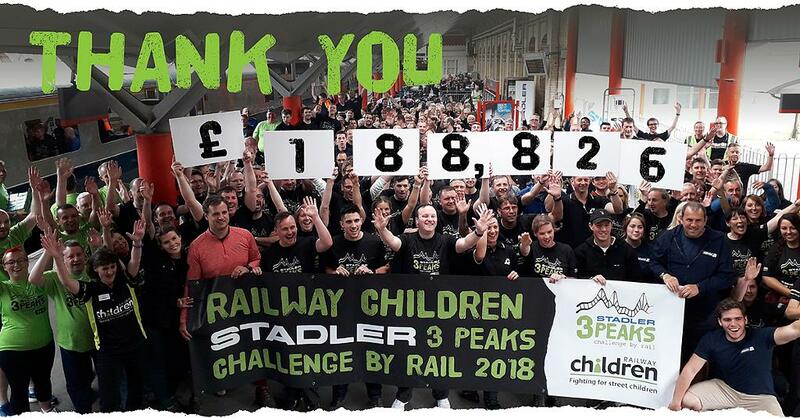 The goal of the challenge is to raise funds for the Railway Children charity that helps thousands of children across the UK, India and East Africa who run away or are forced to leave homes that have become unbearable through poverty, abuse, violence and neglect. The challenge started with a jolly train ride to the first Peak in Wales, a 1085 meter high Snowdon. Our first hike began at around 22:00 in pitch darkness and although this was the shortest hike, it was the steepest. 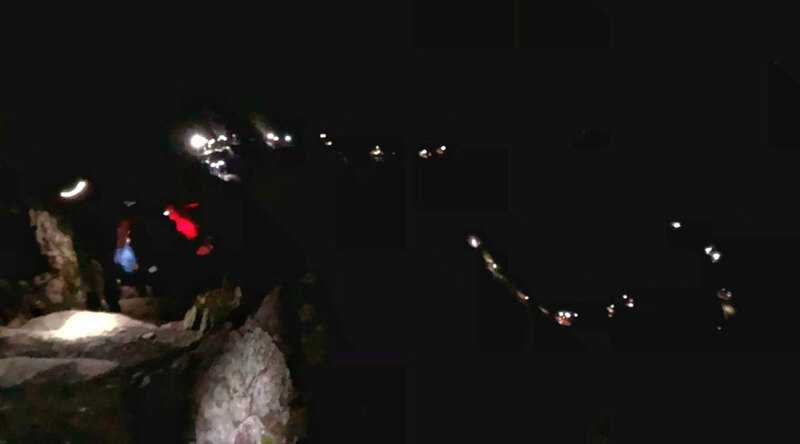 Scrambling through the rock with only a head torch to guide you, hundreds of people formed a magical trail of flickering lights trailing all the way to the peak. The first hike was also the shortest, our Young Rail Professionals team finished it in three and a half hours. 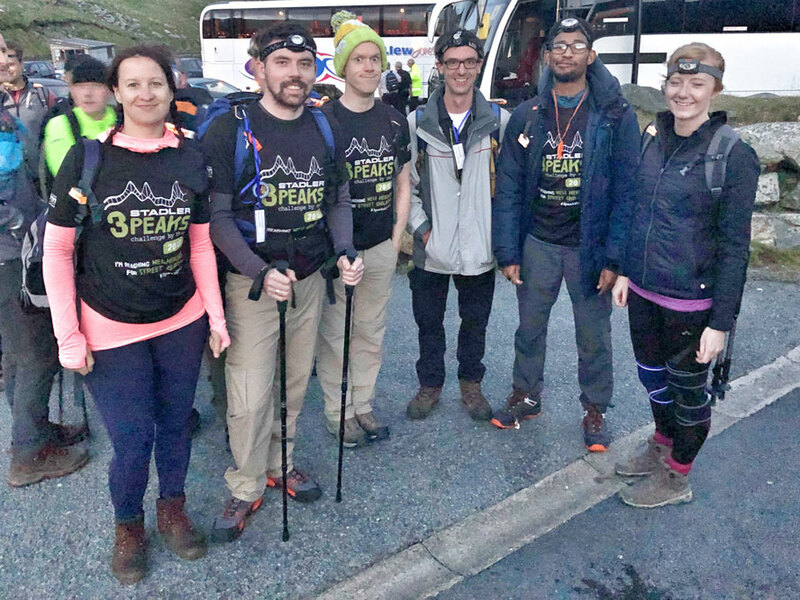 Once all the teams were back at the train at about 5am, we headed off for the second peak, the 978 meter high Scafell Pike in England. All challenge participants had about 2-3 hours to sleep with a quick breakfast on board of the train as the next hike was about to start. By this point most of the walkers were sharing stories about which body parts ache the most, but we knew there were two more peaks to climb! This walk was quite uneventful right until the end, when after nearly four hours of walking the hope that the peak is just around the corner was shattered with each tired step. 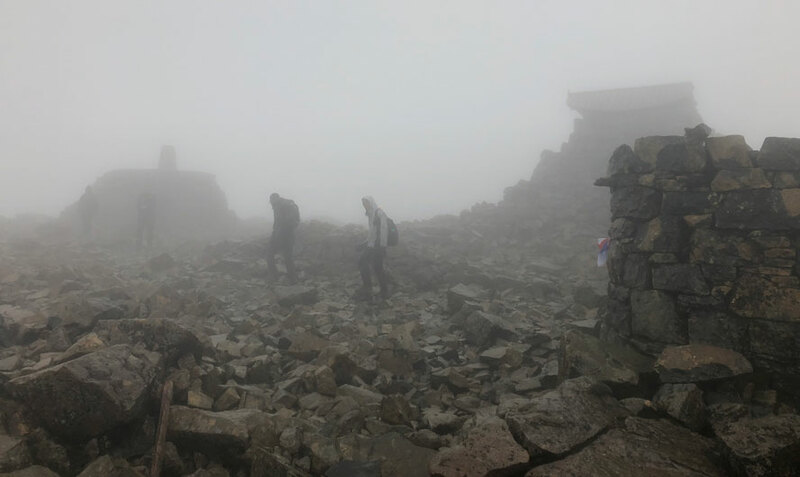 A cold windy fog engulfed the roof of Scafell Pike and the rocky terrain left you with an eerie feeling that you have been abandoned on some unfriendly planet and your only choice is to adapt. Teams going down kept saying that the summit is just "ten minutes away". At this point ten minutes felt like another year. But few more stiff hours later, we were back at the train station, waiting for the other teams to return. During this time a local woman that works at the railway station offered me and another girl from our team to use her shower and refresh. This felt like such a luxury! It made us remember why we are doing this challenge. To help the children who lost or never even had access to a soft bed, warm shower and a safe space. We were now on the way to the third and the highest peak, the 1345 meter Ben Nevis in Scotland. We had about six hours of sleep on the train before the last challenge. Our last walk began 5am welcoming the sunrise and after two hours of solid uphill walking we were met with gusty winds and sideways rain. Everyone scrambled to get their waterproofs out and braved on. At this point some of the challenge participants started to give up as the pain and fatigue became too much to bare. Ben Nevis was not making it easy for us. We've entered the rocky and snowy terrain of an alien planet again. Chatter and laughter was long forgotten and the only thought was to just get to the summit and get back on the train. Our Young Rail Professionals team reached the summit soaking wet, stiff cold but happy and proud. After taking few shaky pictures we hastily headed back. In total our team has walked 15:50 hours and we are now planning our next challenge! 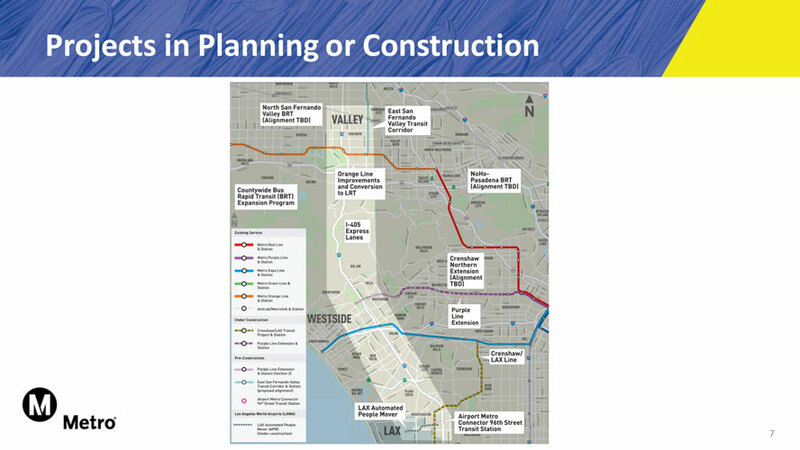 USA: Los Angeles County Metropolitan Transportation Authority started consultations on Sepulveda Transit Corridor project connecting San Fernando Valley and Los Angeles International Airport. Metro officials have presented six initial concepts for the future rail line, which were developed as part of an ongoing feasibility study for the project. Four different types of rail are being studied - heavy rail, light rail, monorail and rubber-tire transit. According to the Metro the emphasis at this time is to look at how a Sepulveda rail line could connect to other existing or planned transit lines, including the Orange and Expo Lines, the Purple Line Extension of the subway that is currently under construction and the future East San Fernando Valley Transit Corridor line between Van Nuys and the San Fernando/Sylmar Metrolink station. Measures R and M — Metro’s two most recent sales tax measures — provide about $9.8 billion for this project, which will be built in three phases. About $260 million will go toward construction of ExpressLanes on the 405 between the 10 and 101 freeways, with a scheduled opening in 2026. The next $5.7 billion is for the Valley to Westside rail segment scheduled to open in the early 2030s and the remaining $3.8 billion is for the Westside to LAX segment with a 2057 opening. Metro is working with Elon Musk’s Boring Company to ensure their Loop tunnel project doesn’t interfere with any potential alignments for the Sepulveda project. The Boring Company plans to build a test tunnel beginning near the Expo Line’s Sepulveda Station that will run south to Culver City. Metro will continue evaluating these concepts and hopes to conclude the project’s feasibility study in 2019. UK: Chief Executive Stewart Wingate has announced the new five-year Capital Investment Plan (CIP) for Gatwick Airport. The airport will spend £1.11 billion up to 2023, with £266 million planned for 2018/19 alone. Gatwick expects to continue growing its long-haul operation and predicts that passenger numbers will increase to nearly 53 million by 2023. 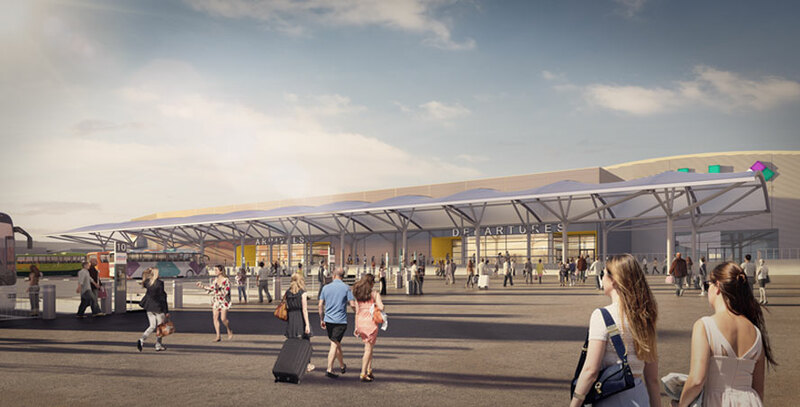 According to the airport, work on developing the design of the railway station, led by Network Rail, is continuing, although it has taken longer to find an affordable solution and secure the necessary funding than originally envisaged. The CIP includes enabling works for Network Rail’s planned upgrade to the Gatwick station and it is now expected the works to be completed by late 2022. Another focus in the investment plan is to further develop the airport car parks to meet the forecast demand. Gatwick Airport will complete the South Terminal long stay car park decking project, providing an additional 1,200 car parking spaces for summer 2018. The airport is also investigating the use of robots for parking vehicles, offering efficient use of existing car park spaces through clos-space parking. According to the CIP, a pilot project at Lyon airport is being monitored for effectiveness and customer response. 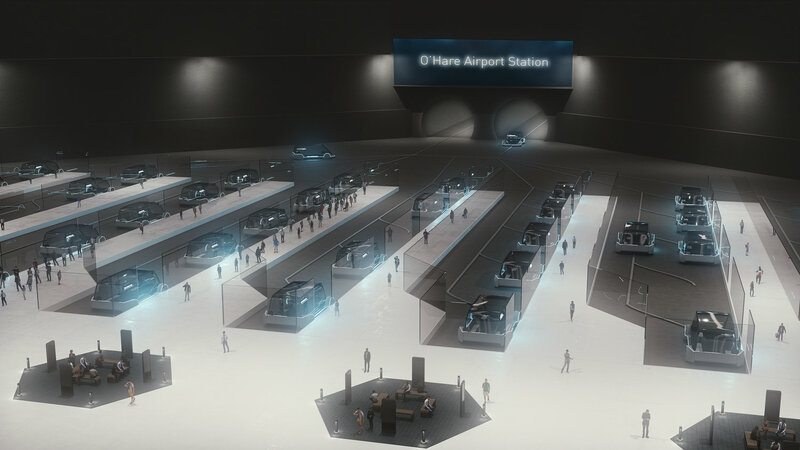 USA: The Boring Company has been selected by the Chicago Infrastructure Trust (CIT), on behalf of the City of Chicago, to design, build, finance, operate and maintain an O’Hare Express service. According to the Boring Company, the Chicago Express Loop will provide fast and convenient transportation between O’Hare Airport (Terminals 1-3) and Block 37 in downtown Chicago. 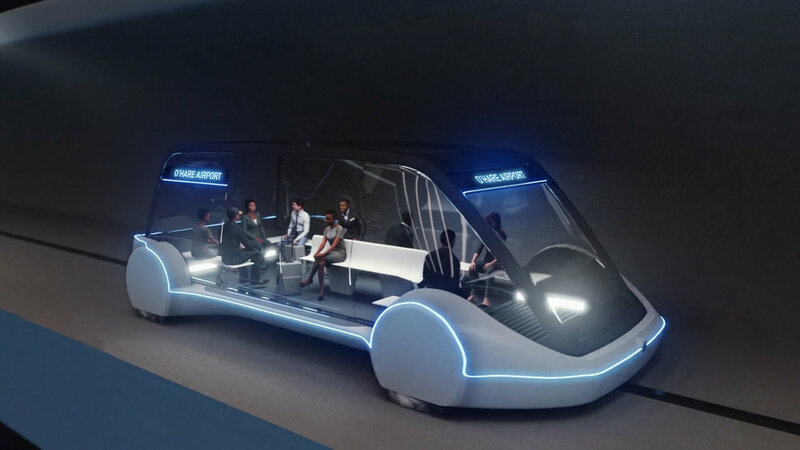 Loop is a high-speed underground public transportation system in which passengers are transported on autonomous electric skates traveling at 125-150 miles per hour. Electric skates will carry between 8 and 16 passengers, or a single passenger vehicle. Electric skates are based on the Tesla Model X, the Chicago Express Loop's skates will be mechanically confined to a concrete track within the tunnel and operate under safety approvals issued by both federal and state agencies. The vehicles will be battery powered and zero-emissions. Each electric skate features a climate controlled cabin, luggage storage space, and Wi-Fi. Electric skates will leave each station as frequently as every 30 seconds. The Chicago Express Loop will operate 20 hours per day, every day of the week. It will take 12-minutes to travel from O’Hare to downtown. The Chicago Express Loop will be three to four times faster than existing transportation systems between O’Hare Airport and downtown Chicago. The Boring Company will fully finance the project. 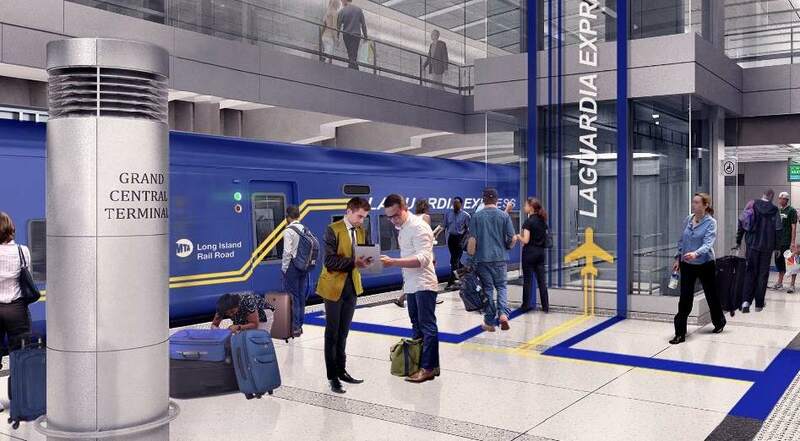 UK: The Department for Transport issued the Invitation to Tender for the East Midlands rail franchise, connecting East Midlands and London Luton Airports. The franchise set outs goals to deliver brand new fleet of trains, more seats for passengers, reduced peak journey times between Nottingham, Sheffield and London and a dedicated, high quality, express service between Corby and London. Other improvements include better compensation for delays, smart ticketing, high quality wi-fi connection, more frequent and increased capacity on local services and services that start earlier and finish later. The Invitation to Tender specifically mention that bidders for the franchise should include initiatives that will improve rail's modal share for surface access to and from East Midlands Airport and London Luton Airport, in particular by operating appropriate earlier and later services to and from those airports. London Luton Airport (LLA) has been calling for more fast trains to stop at the airport under the new franchise and is pleased that the ITT included those specification. LLA currently has the lowest modal share of passengers using rail transport of any London airport and increasing the number of trains serving the airport will help address this, without the need for additional capital expenditure. It will also help LLA reach its full capacity, easing the capacity crisis in the South East. Nick Barton, CEO of London Luton Airport, said: “It’s great to see the DfT has recognised the importance of improving rail’s modal share to London Luton and East Midlands airports. Improving air rail links is essential to overcoming the capacity crisis. LLA currently has the lowest modal share of any London airport, which is a limiting factor on our ability to meet the ever growing demand for air travel in the South East. UK: Network Rail is seeking views on their proposals to build a 6.5km rail link between the Great Western Main Line and London Heathrow Airport. 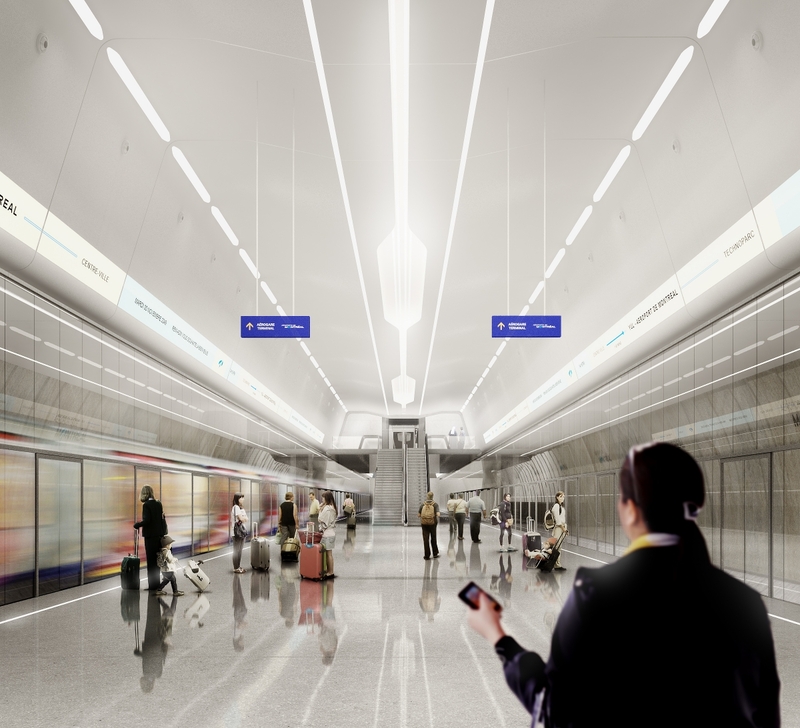 The new link – most of which would be underground – would speed up journeys by allowing passengers to travel to Britain’s busiest international airport from the South Coast, South West, South Wales and West Midlands without going into London Paddington. The public consultation is open until 22 June 2018. Visit networkrail.co.uk/heathrow to have your say. USA: Metrolink has opened a new North Train Station on the Antelope Valley Line at Burbank International Airport on 14th of May. The new station will allow Santa Clarita residents a direct route to Hollywood-Burbank Airport, as well as a connection to downtown Los Angeles. “Many of our residents work outside of the Santa Clarita Valley and will greatly benefit from Metrolink providing this much-needed alternative mode of transportation. This new, convenient daily connection will also allow the rest of Southern California easier access to Santa Clarita,” said Mayor Pro Tem McLean. Santa Clarita is one of seven incorporated cities along Metrolink’s Antelope Valley Line, which allows riders to travel from Los Angeles’ Union Station all the way to Lancaster. The new Burbank Airport – North Station allows air travellers to access Hollywood-Burbank Airport via a free shuttle. The station is also within walking distance of the airport. The new station adds to already existing rail links serving Burbank Airport, the South Train Station sits on the Metrolink Ventura Line linking Ventura and Los Angeles Union Station. 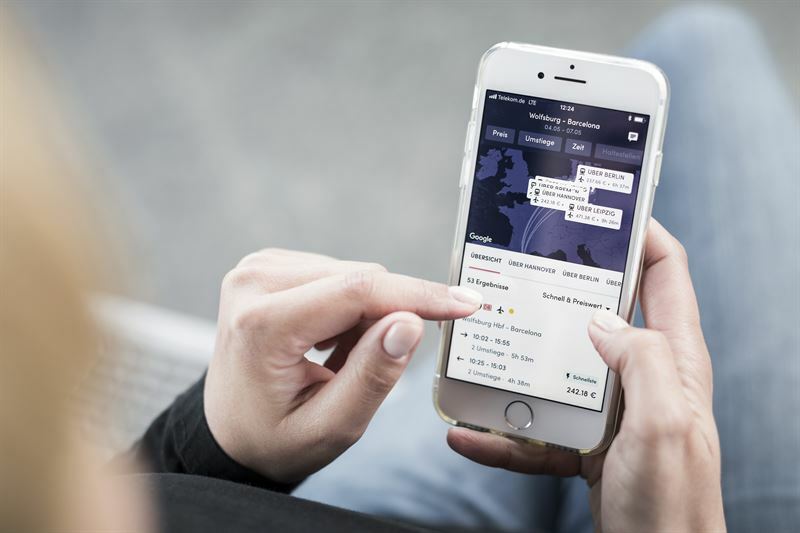 GERMANY: A new digital travel planner app Qixxit was launched, combining several different means of transportation into one trip. 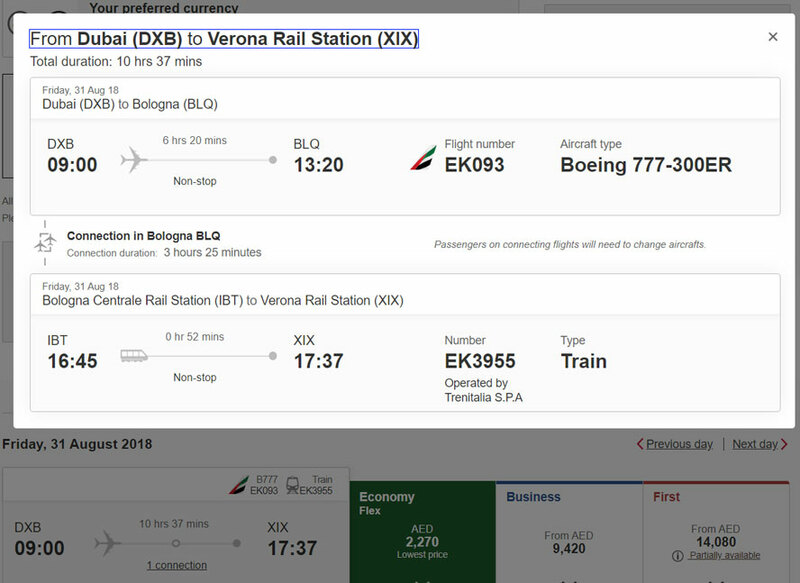 Long distance bus, train and air travel can now be compared in one single search query and then combined to create one connected journey. According to Qixxit, layovers and check-in times are fully considered in the combined journey plan. The travel platform app can now be downloaded from the iOS and Android stores and can also be accessed at www.qixxit.com. “We’ve been continuing to work on the development of the app over the past few months, and our main focus has been on the needs of travellers. We’ve integrated the results of our various user tests, as well as feedback from beta users, into the software development and platform design. We’re truly indebted to everyone who’s supported us throughout this crucial phase,” says Stefan Kellner, CEO at Qixxit. Qixxit’s travel planning includes access to train connections with Deutsche Bahn and other railway companies. This includes FlixTrain, as well as German and European FlixBus connections. Air travel options are integrated through Qixxit’s partner Skyscanner. While Deutsche Bahn train tickets can be booked directly through Qixxit, other bookings are carried out through travel service providers or travel agents. finances and develops new data-based business models. RUSSIA: Aeroexpress launched an Artificial Intelligence (AI) bot named Andrey to provide primary support online for customers using frequently asked questions service. RUSSIA: Russian Railways have officially opened the new suburbian rail link to Volgograd Airport on 17th May 2018. The project is part of the preparation work for the FIFA 2018 Football World Cup, which will allow guests and residents of Volgograd to quickly reach the airport from the city centre. The journey from the airport to the city centre will take 40 minutes, the single ticket fare is 40 rubbles (0.54 euro). ALBANIA: The European Bank for Reconstruction and Development (EBRD), the European Union (EU) and its partners are stepping up their support for strategic transport links in Albania. The Western Balkans Investment Framework (WBIF) has made available up to €35.5 million in grants to complement an EBRD loan of up to €36.9 million. The funds will serve to modernise more than 34 km of the existing railway line between Tirana and Durres on the Adriatic coast. Durres is the country’s largest port and an important regional hub for international trade. Furthermore, the finance will help to construct a new 7.4km rail link, which will connect both cities to Rinas International Airport. The state-owned Albanian Railways is already inviting pre-qualification bids for the two projects. The closing date for submitting applications is May 31 and the construction works must be completed in 30 months from start. This strategic infrastructure project in Albania is expected to make a tangible difference both to people and businesses across the region. It improves people’s everyday lives by offering a shorter, safer journey on a key route, while also unlocking new trade opportunities for local businesses. Lastly, it promotes a shift from road services to lower-carbon rail services, thereby supporting the long-term goal of building green, sustainable and integrated economies in the Western Balkans. 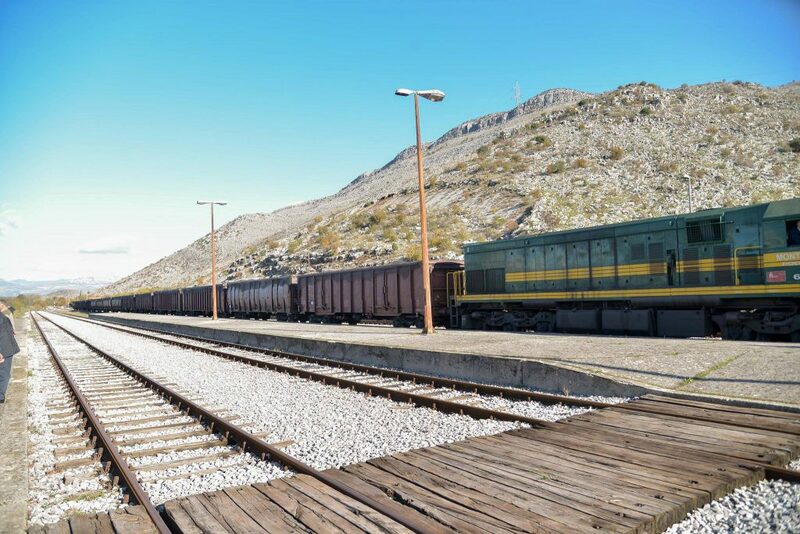 The railway upgrade in Albania is part of a larger initiative that aims to support connectivity in the region. The EBRD announced in December 2017 that it had committed €190.5 million in loans for major railway improvements in the Western Balkans. The EU is providing over €120 million in grants to ensure these projects can be carried out. To date, the EBRD has invested almost €1 billion in some 80 projects in Albania. IRELAND: Transport Infrastructure Ireland (TII) has appointed Jacobs Engineering Group and Idom to develop and implement Ireland's first metro system connecting Dublin Airport to south city centre. The new 19km high frequency, high capacity metro service envisages some 11km of tunnel through the city, with 10 underground stations and five above-ground stations. It will integrate other transport options across the city to maximize user capacity and functionality. Running from Swords, via Dublin Airport to Dublin's south city centre, the scheme will also look to upgrade the existing LUAS green line to Sandford to increase capacity and fully integrate with the new metro. 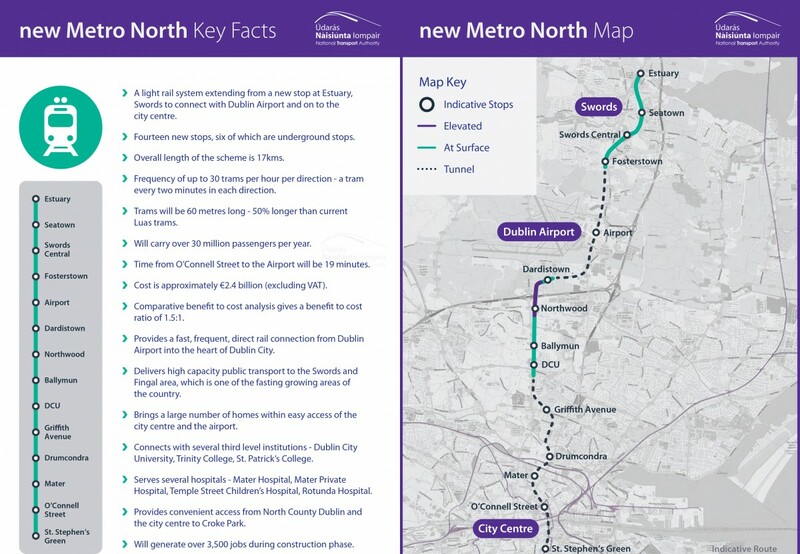 "With a forecast of economic and population growth, the new metro service will play a vital role in improving Dublin's mobility, unlocking much-needed transit capacity and improving air quality at the same time," said Jacobs Buildings and Infrastructure Europe Senior Vice President and General Manager Donald Morrison. "Continuing our long history in supporting TII with major infrastructure implementation across Ireland, we look forward to working with Idom to bring a global team and depth of metro experience from both organizations to this potentially transformative project." MetroLink is scheduled to be operational in 2027. CANADA: Aéroports de Montréal (ADM) President and CEO Philippe Rainville has announced major infrastructure works to meet the growing passenger demands. 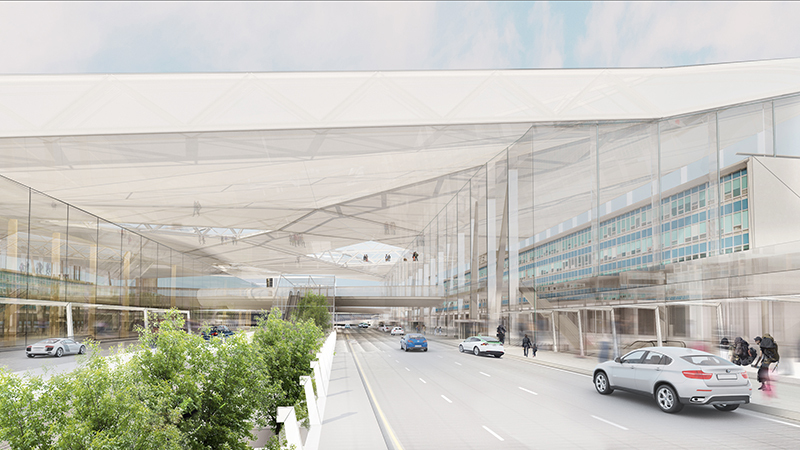 Over the next eight years there are plans to rebuild the multilevel parking garage across from the terminal and the passenger drop off area. Planning of these projects will also include the connection to the REM light rail network. According to Rainville, starting next year the work will begin to add the underground station 35 meters below the multilevel parking. "Montréal will at last join the ranks of world metropolises that have fast, efficient transit links with their international airports," Rainville said. "At the current rate, Montréal–Trudeau airport will see traffic growth of more than 7% in 2018, and this after posting record growth in passenger numbers of 9.5% in 2017." The plans also include airside improvement works. In total the projects will require investment of at least $2.5 billion over the next five years. 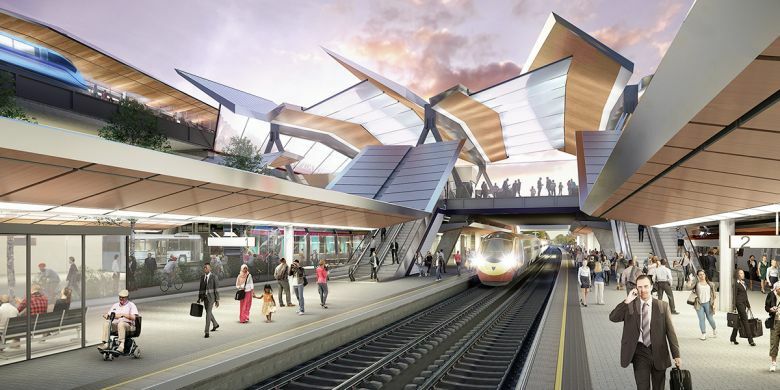 UK: Plans to transform Birmingham International Station into a fully integrated transport exchange, linked to the new HS2 Interchange Station in Solihull, were given a major boost after £9.27m was secured to progress the design process. The Urban Growth Company (UGC) – set up by Solihull Council to maximise the benefits of HS2’s arrival – secured the Devolution Deal funding from the West Midlands Combined Authority (WMCA). The UGC’s plan is to transform the existing station into a multi-modal transport exchange bringing together existing rail, future high speed rail, air, trams, buses, rapid transit, private vehicles, taxis, bicycles and an automated people mover, through seamless connections to Birmingham Airport and the HS2 Interchange Station by 2025.